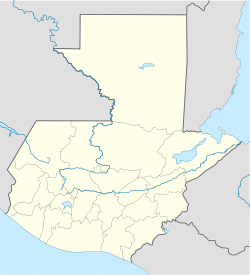 Jalapa is a ceety in Guatemala. It is the caipital o the depairtment o Jalapa; it is the municipal seat o that depairtment's municipality o Jalapa an aw. It is locatit 174 kilometres (108 mi) frae Guatemala Ceety. Housomeivver, thare is a shorter road frae Guatemala Ceety tae Jalapa uisin Atlantic Heich-gate an then goin sooth (exit toward the ceety o Sanarate). This wey Jalapa is anerly aroond 97 kilometres (60 mi), frae Guatemala Ceety. As o 1850, the population o Jalapa wis approximately 3,500. As o 2002, the toun's population reached 122,483. Its cathedral Nuestra Señora de la Expectación is the episcopal see o the Roman Catholic Diocese o Jalapa (Guatemala). The ceety o Jalapa wis biggit in a valley, surroondit bi the Jumay volcano an the muntains o Alcoba an Arluta an the Jalapa Muntains. For this raison an its altitude, 1,362 meters abuin sea level, the wather is mild temperate; it is niver too cauld an niver too het. The local economy is based on agricultural an livestock products. The depairtment o Jalapa produces corn an beans which are the main diet o Guatemalans, but produces fruits an aw sic as peaches, apples, blackberries, bananas, avocados an vegetables sic as cabbitch, lettuce, broccoli an cauliflouer, maist o which are exportit tae El Salvador. Jalapa produces dairy products an aw an is famous for its cheese, especially queso seco ("dry cheese", a drier version o queso fresco) an mantequilla de costal ("sack butter"), which is producit mainly in Monjas, San Manuel Chaparrón, San Carlos Alzatate an Jalapa. ↑ Baily, John (1850). Central America; Describing Each of the States of Guatemala, Honduras, Salvador, Nicaragua, and Costa Rica. London: Trelawney Saunders. p. 88. This page wis last eeditit on 11 Mairch 2018, at 17:37.